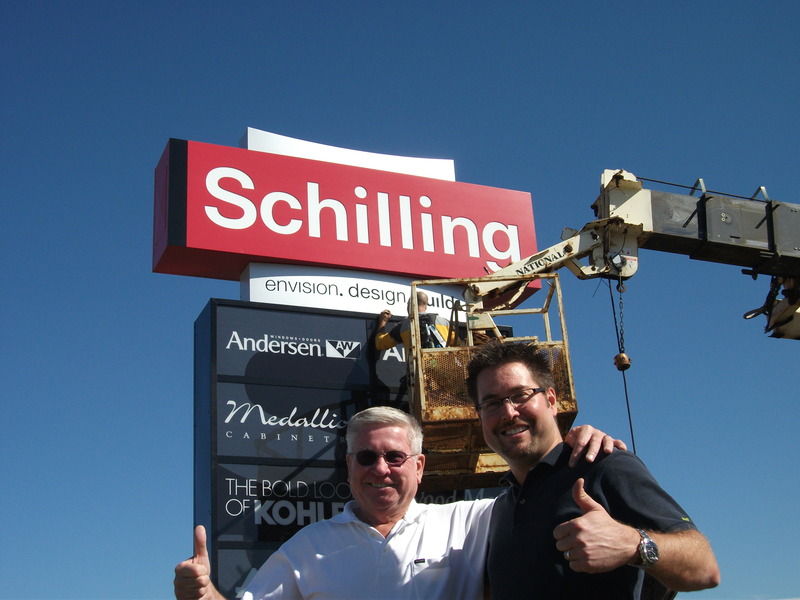 Schilling Celebrates 70 Years in Business! 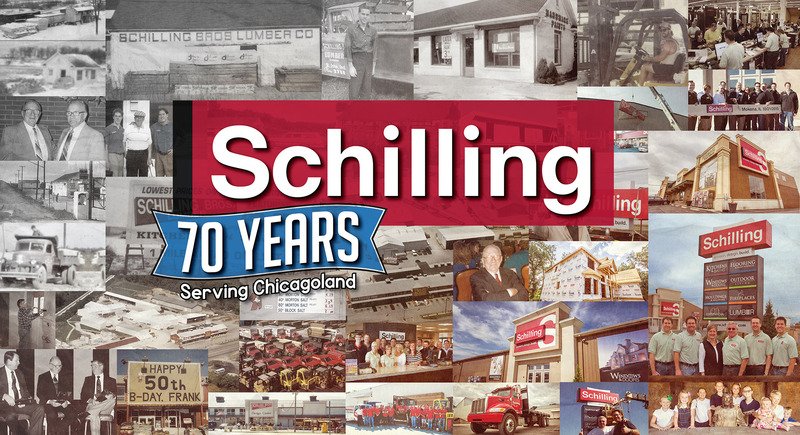 Family owned and operated NWI business Schilling is celebrating their 70th year in business. 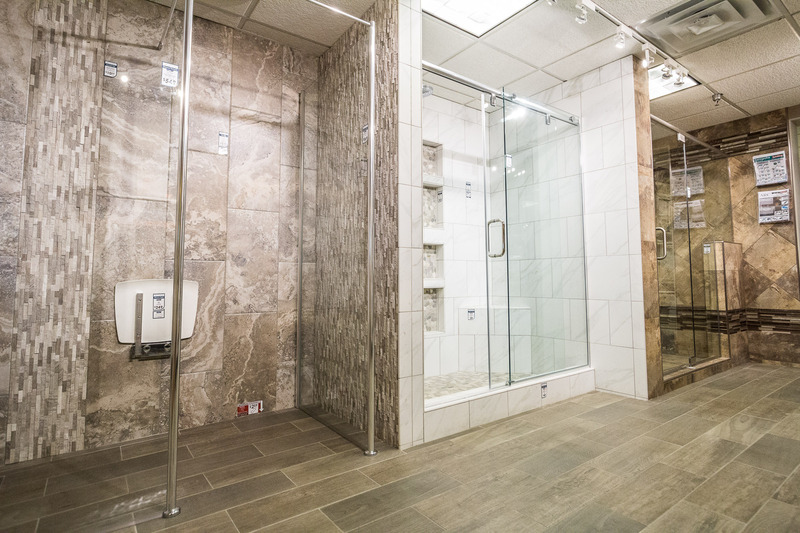 They are known throughout NWI and Chicagoland for their quality lumber, kitchen and bath cabinetry, countertops, decking, and all around being the place to shop when it comes to remodeling or working on home improvement projects. 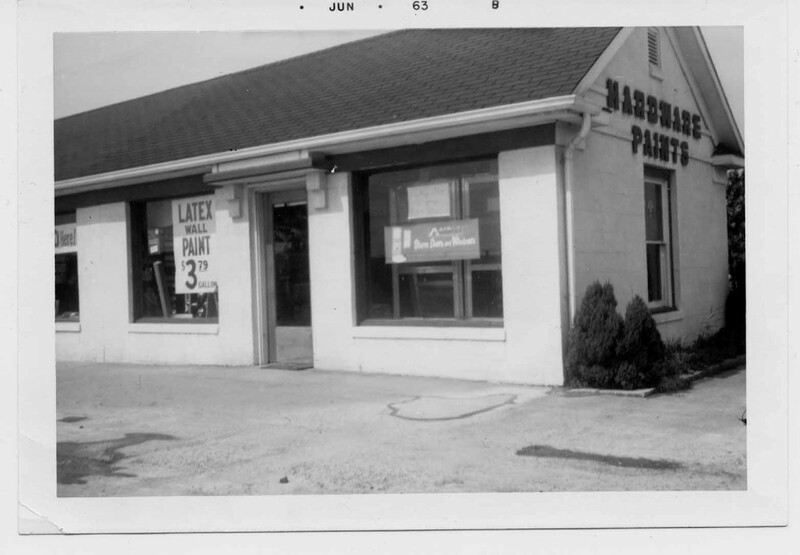 Now having 3 locations, the company has grown significantly since having opened in 1945. We took some time to visit their St. John, IN showroom and get some photos as well as learn more about the history of the company and what they currently focus on. 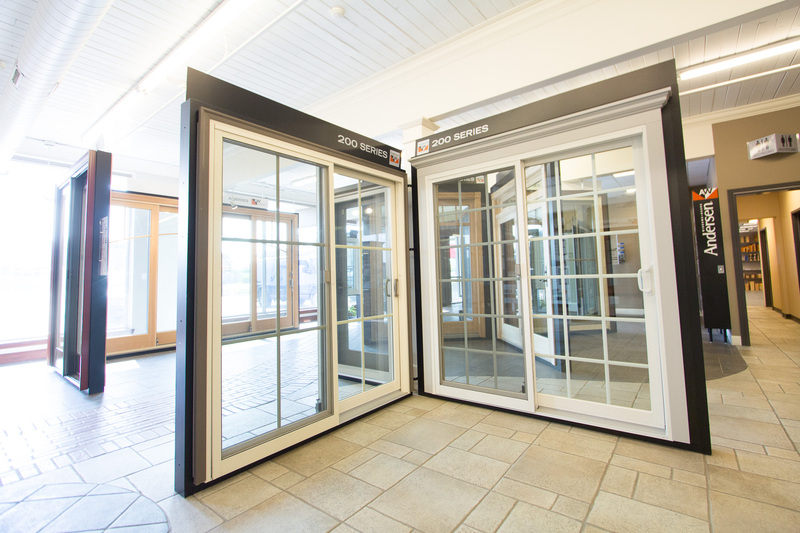 Schilling is known for their wide variety of home improvement items which include their in stock flooring, in stock cabinetry, in stock patio doors, in stock decking, bath products, and much more. They have 2 showrooms and 1 distribution center. The showrooms are located in Mokena, IL and also St. John, IN and their distribution center is in Cedar Lake, IL. The showrooms are a place in which customers can come and see full displays of many of the products they have for sale that are in stock. 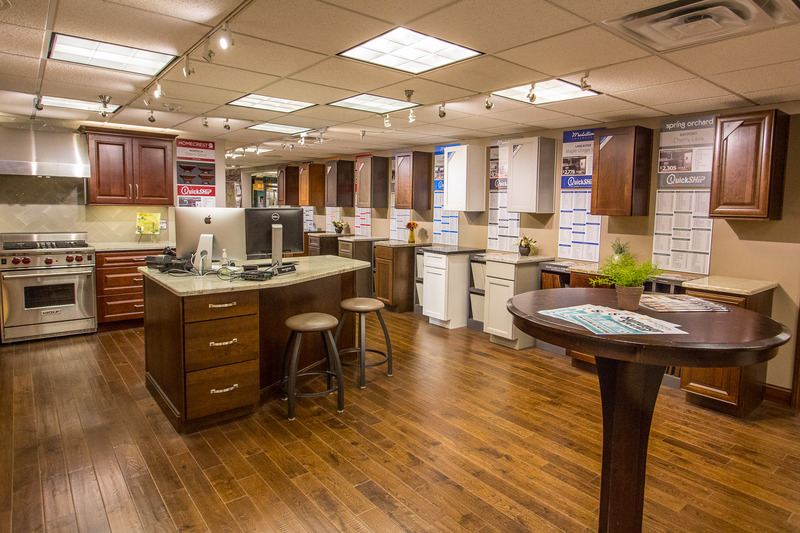 You will find some of the best looking kitchen and bath layouts in NWI here. Schilling has been going strong for 70 years with their focus on their mission statement which is “To Give Our Customers What They Want On Time and Error Free”. 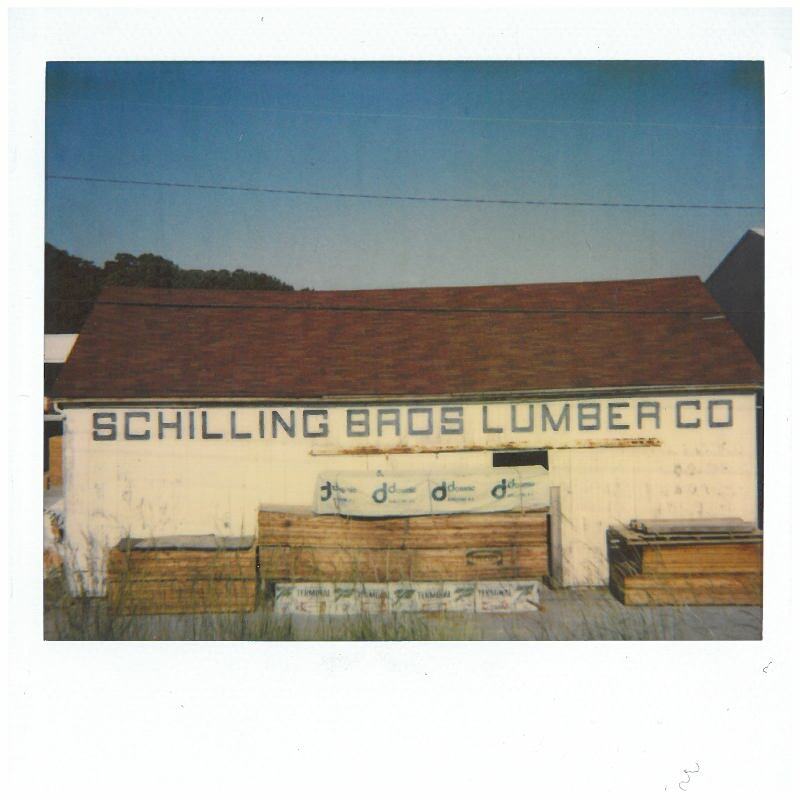 The original Schilling office was built at their St. John location in 1945 by brothers Frank and Louis. Succeed by brothers Frank and Jim. 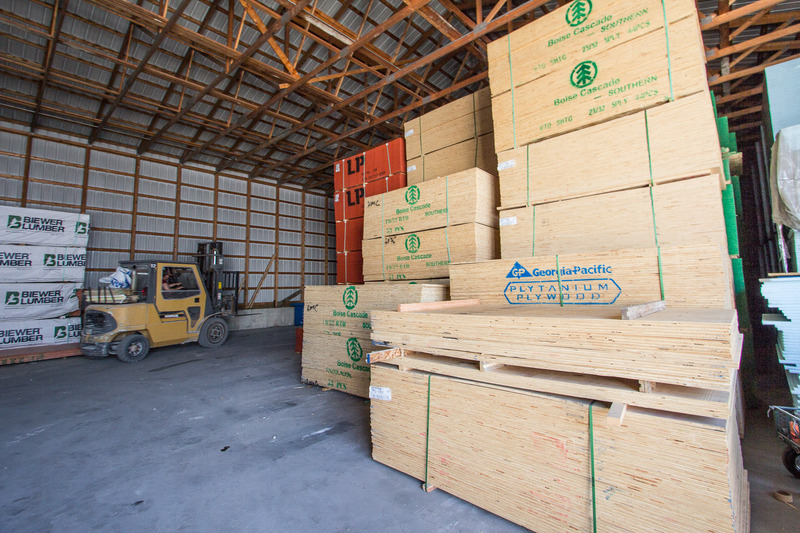 They opened doors and began working as a lumber yard for 19 years. In 1964 they took the jump into building the first single story structured storefront, which would eventually lead the way to many more large expansions. In 1965, Louis’ son, Frank Schilling, would begin his time as a full time employee at the store leading the second generation of the Schilling family. Years would continue to pass and business would begin to grow. As time went on, Schilling decided to offer more than just lumber. In 1974, the company expanded into Kitchens with the development of their first brand of Cabinets, Imperial. Shortly after they would begin offering hardware, flooring, windows, doors, and just about every other product you could imaging when it comes to focusing on home remodeling, improvement, and construction. In the 1990’s, the third generation of the Schilling family would begin their careers. For a time, they were well known as “Schilling Brothers”. 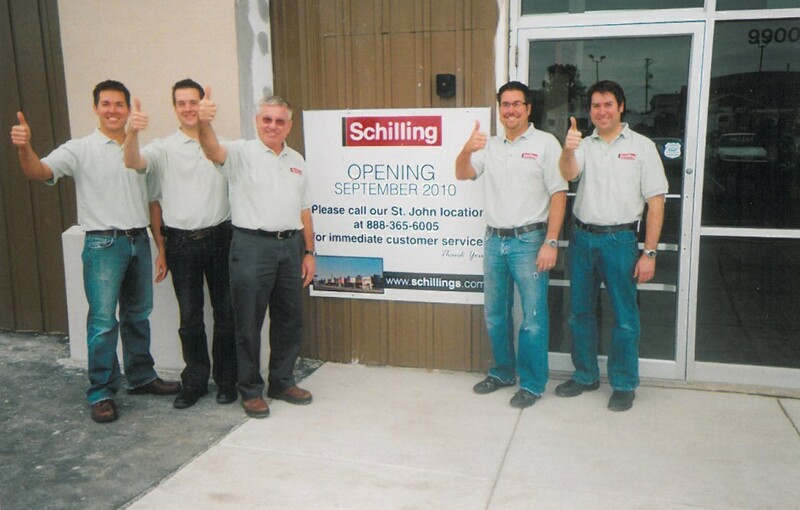 As the brothers entered full time work with the company they would begin to improve businesses significantly and eventually lead Schilling into a full renovation in 2000 of their St. John store. 2006 would come quickly after the renovation when Schilling would acquire the former Grand Rapids Sash and Door in Cedar Lake, which would become their state of the art Schilling Distribution Center set to hold many of their in stock kitchen and bath products, windows and doors, and much more. 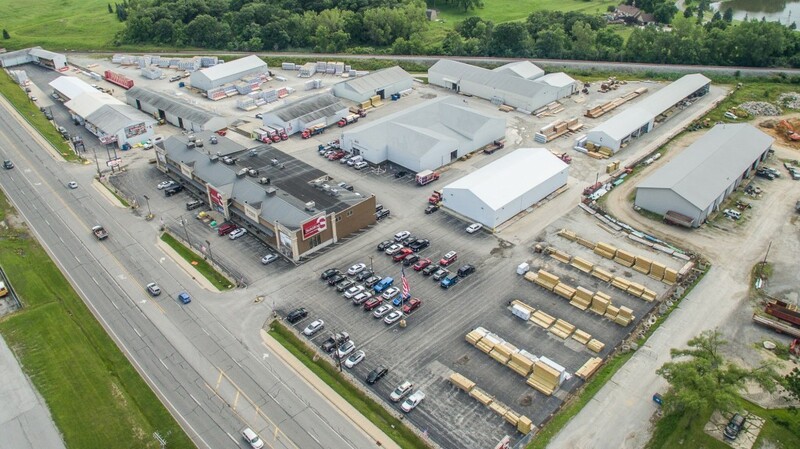 service lumber yard and showroom in Mokena, IL. A huge milestone and challenge for them as they entered a brand new state and market which was not as familiar with the Schilling name as most of the Northwest Indiana region had grown up hearing about. The years following they would acquire multiple surrounding properties as the company continued to grow. This brings us to our current point in time. Schilling now has their 2 full showrooms and also a state of the art distribution center that all run Monday through Saturday every with their growing staff of over 150+ employees, many of which have been a large part of the history of the company. 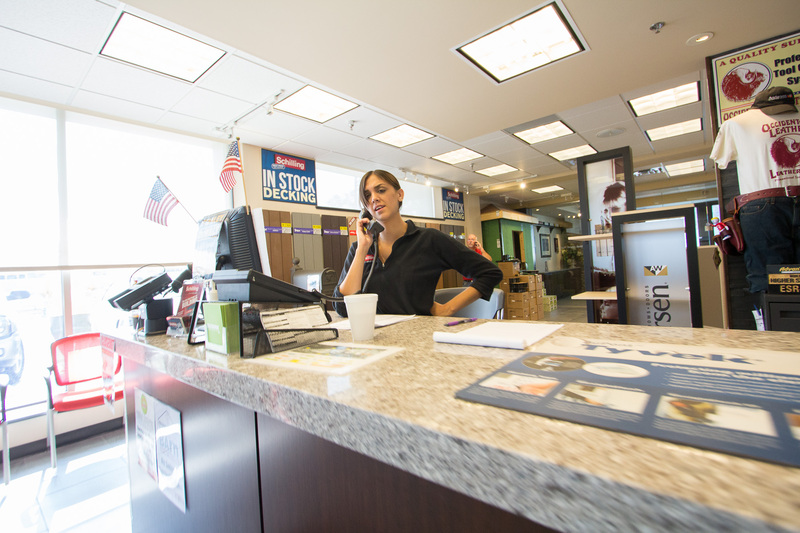 Schilling now has a strong focus on many different home improvement markets. 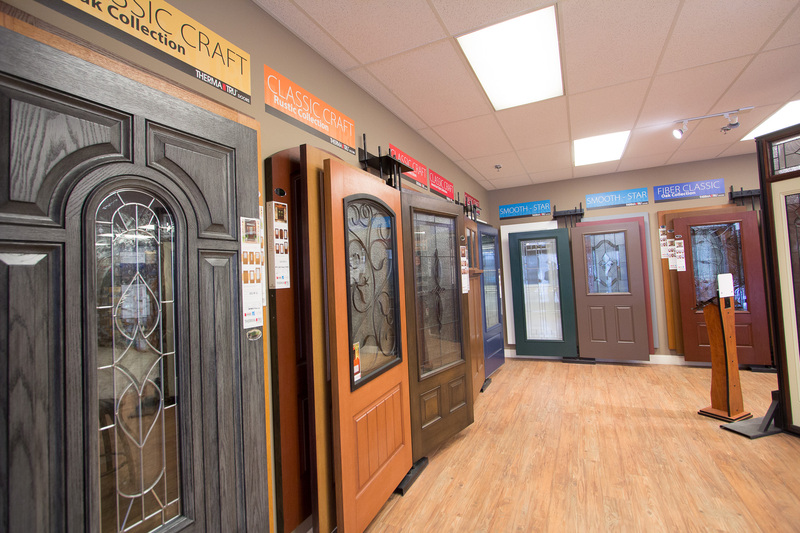 They offer a wide selection of products throughout their flooring, kitchen, bath, decking, lumber, window, door, and hardware departments. Many of their departments have a selection of “in stock” products which they pride themselves on. By having the products in stock and ready for any project that day, they are able to cut the middle man from the buying process which allows them to keep the costs on some of the highest end products at all time low prices. Also, it saves the customer time since they do not have to wait 4+ weeks for any custom products to get ordered and come in. It is clear that Schilling stands by their slogan on their logo of “Best Price, Any Budget” and it shows when you walk through the store. 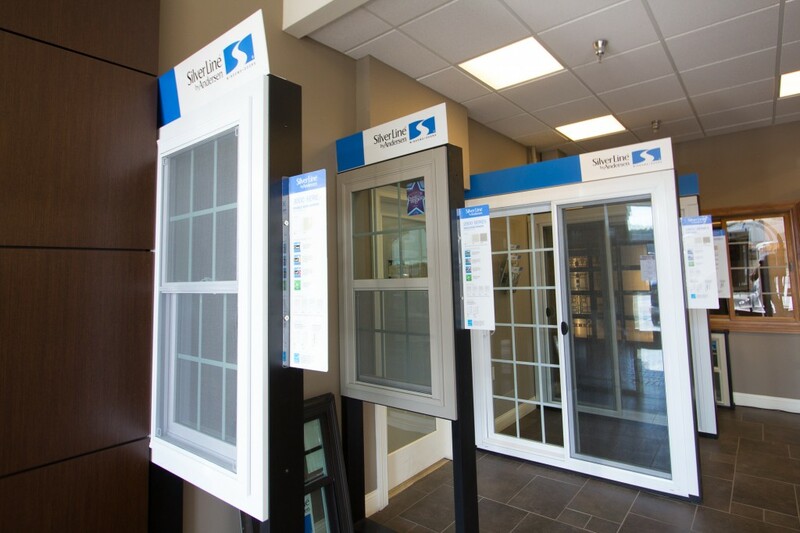 The company has consistently won awards as The Times Best of the Region for Window and Door Replacement, Flooring Store, and Kitchen and Bath Remodeling. 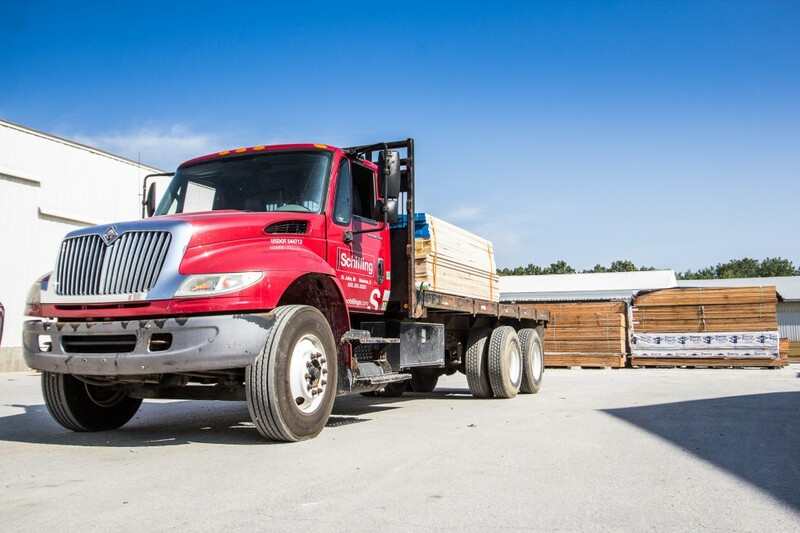 On top of being ranked among the Northwest Indiana community as the best in those areas, they have also proven themselves to be one of the most trusted decking and lumber stores in the region by giving the top quality products to customers for a price that big box stores simply can not compete with. 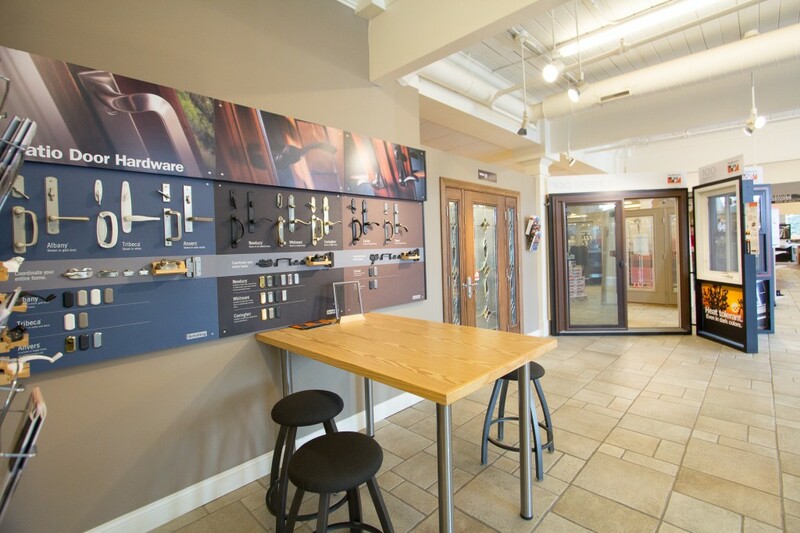 As I took a walk through their St. John, IN showroom, I was blown away by how different it is from many other home improvement centers. 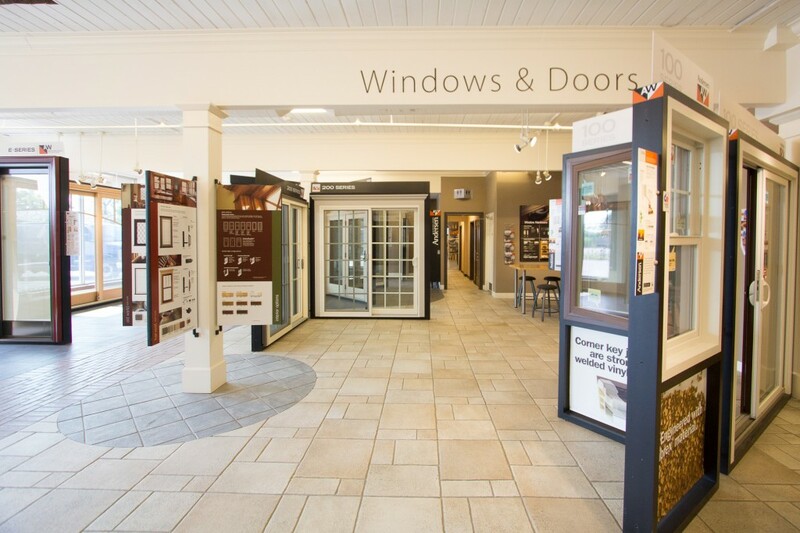 The second you walk in, you are greeted by a salesperson who helps direct you to the area you need help with. You are surrounded by beautiful kitchen, bath, flooring, and door displays which show off a lot of the products which Schilling carries in stock. 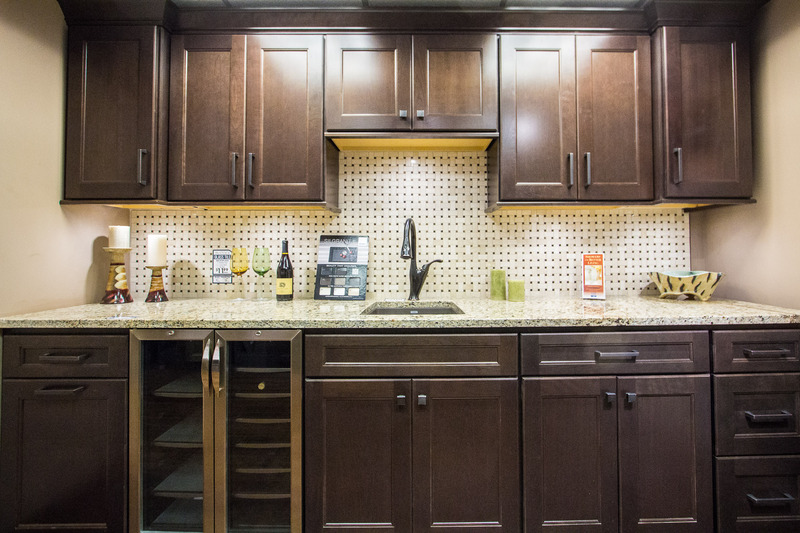 For kitchens, Schilling has 4 in stock cabinetry lines. Each one a different color and different price point. They have full displays of each color throughout their showroom so you can see what they actually look like instead of just imaging it based on looking at one cabinet or an online render. 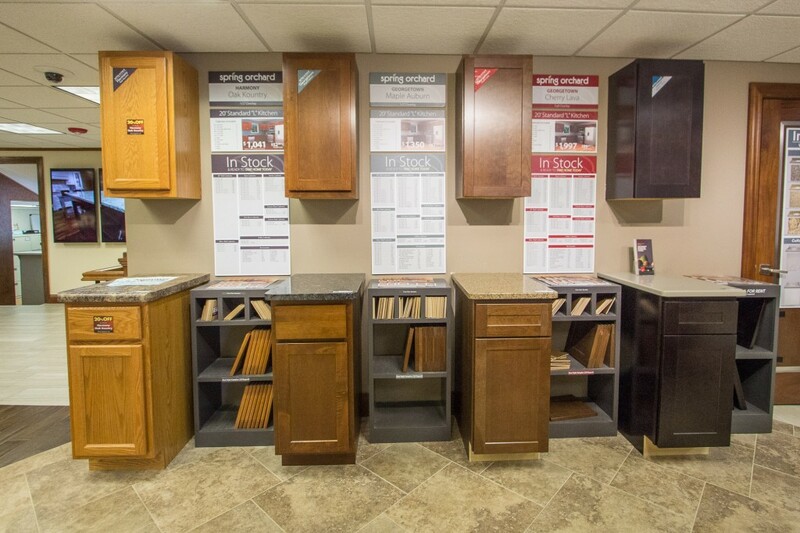 You can make your cabinet selection more unique by choosing your own selection of hardware from their in stock or custom selection as well. 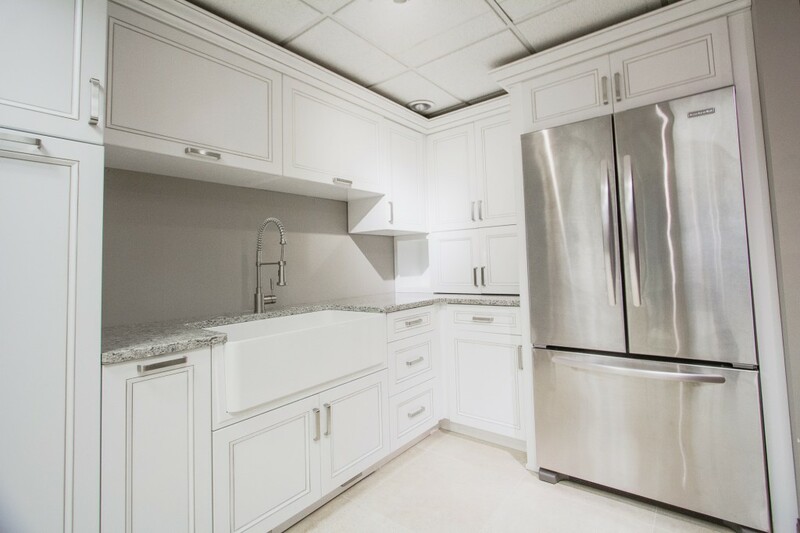 On top of their in stock selection of products, Schilling offers custom builds as well as their special program for buying cabinetry and countertop called “Quick Ship” which allows for customers to still build a very custom style kitchen and get it in 3-5 weeks instead of 6-8. This offers a huge time saving for someone looking to move quickly on a new home build or project. Their bath selection has been growing over the last few years. 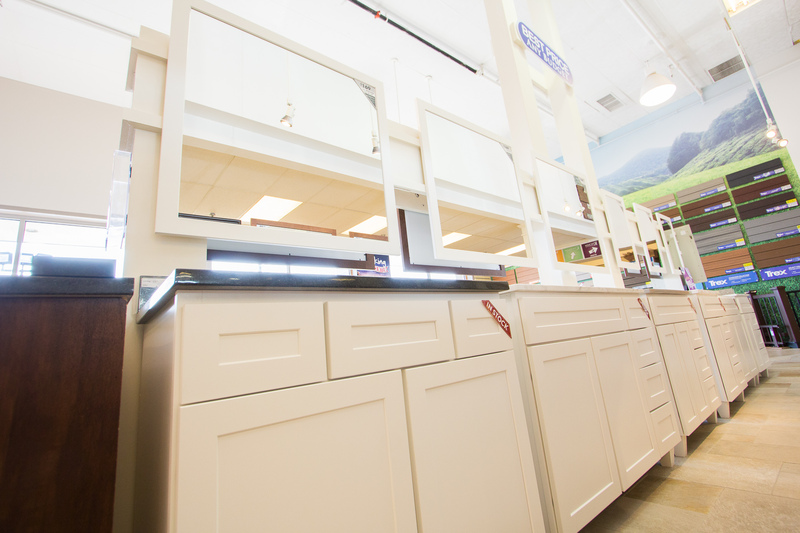 They now have in stock vanities, mirrors, sinks, and faucets to choose from to help get your remodel project moving quickly. Many of the in stock selection is on display. Many stores have “displays” which generally just show off a bunch of products. 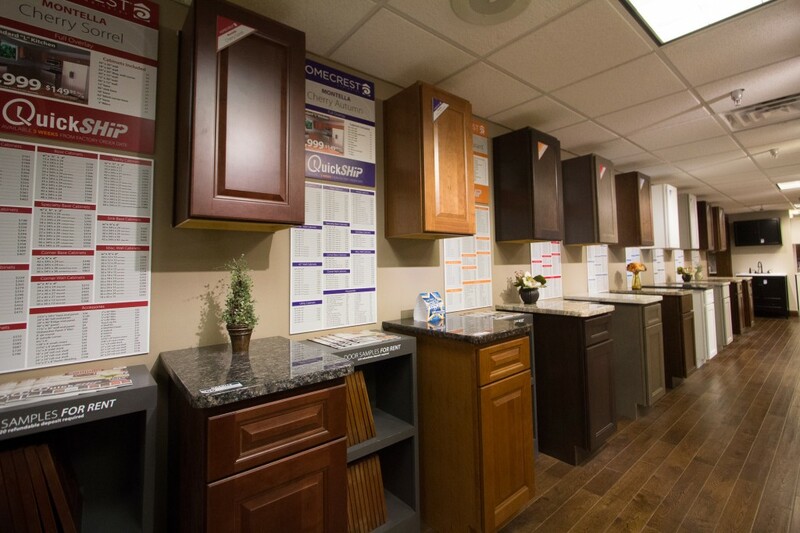 Schilling’s differ because their kitchen and bath displays are almost miniature rooms built to truly give you an idea of what the products they have would look like in your home or project. 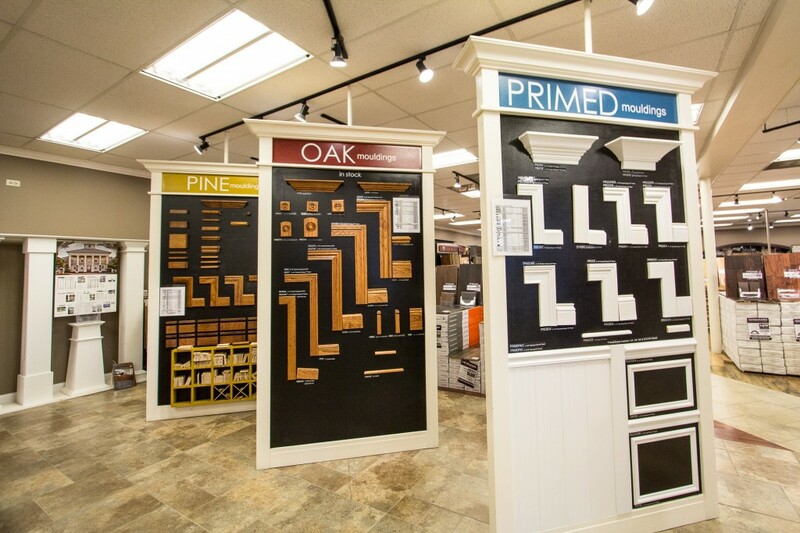 These displays made picking a color, style, and price point much easier. 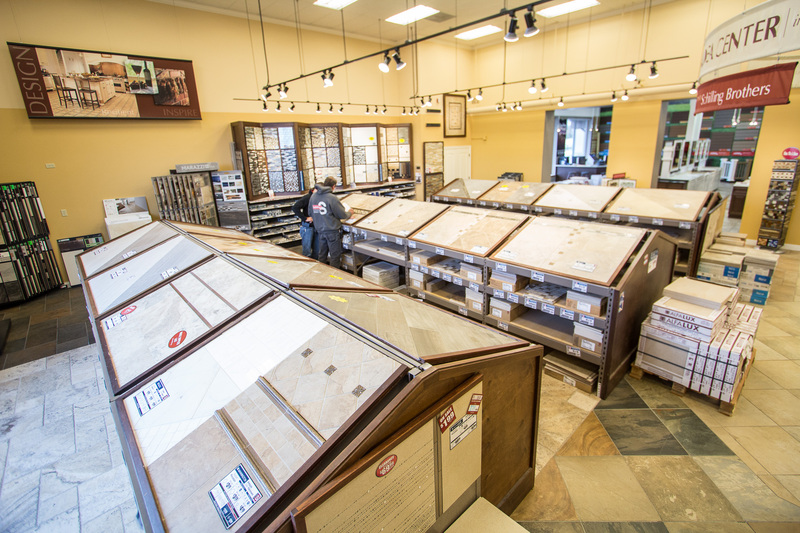 I am working on remodeling my kitchen at the moment and was able to find flooring and cabinets that day and had them in my house that evening ready to go for my contractor to install. For my project, I worked with the Kitchen sales team who started with asking me what I was looking for, walked me through what they had, and then worked within my budget to build my order. The entire process was very easy. I am by no means an expert and have just a small amount of knowledge of what to and not to do and had a lot of questions. I left with no confusion and an answer to just about everything. It was a great experience that, based on my last remodel, I was not looking forward to initially. 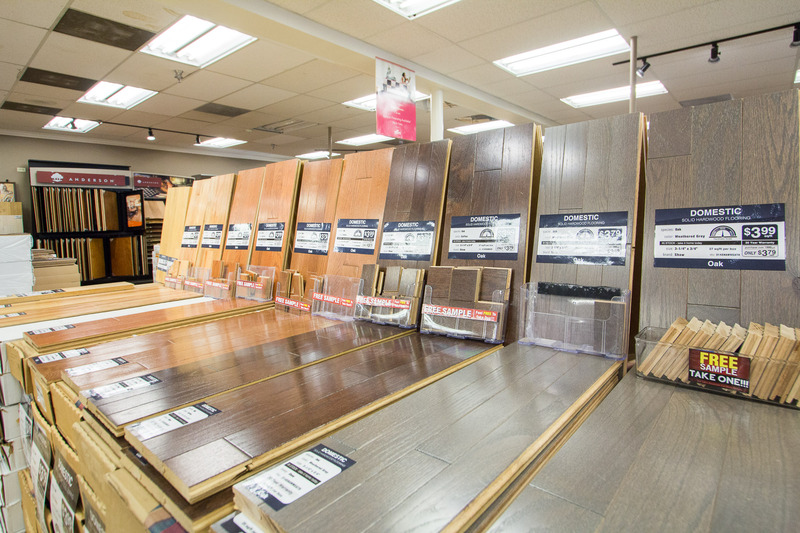 Choosing flooring for a home can be a struggle. Finding a color is not that difficult, but finding a price point that fits your budget for that color on the other hand has proven to be difficult on occasions. The Schilling flooring selection was huge. 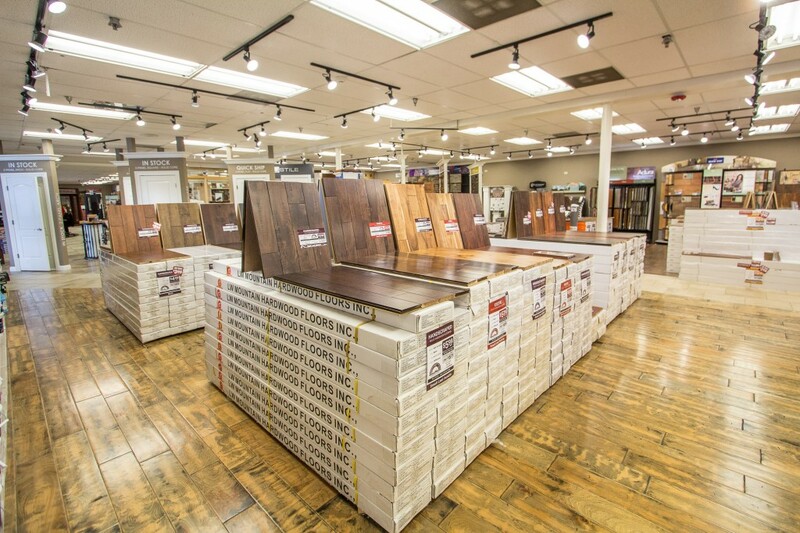 They had a ton of in stock products at a wide selection of price ranges for hardwood, engineered, pre-finished, vinyl, and laminates. 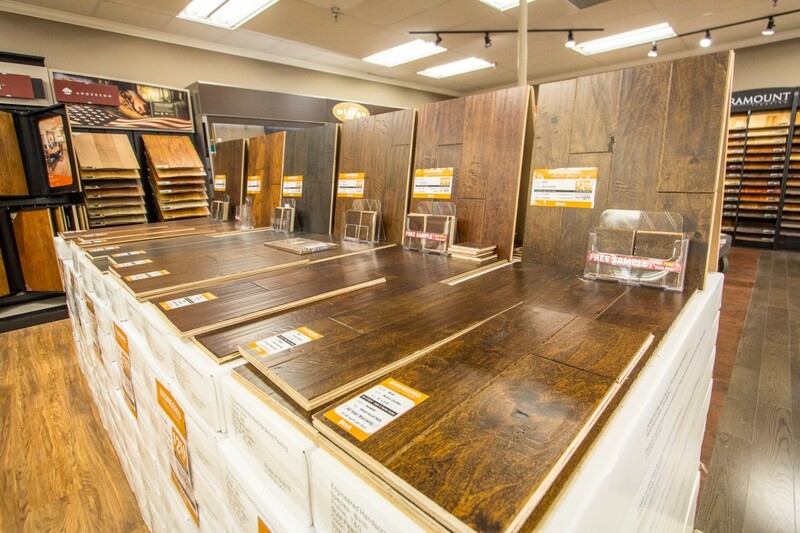 Each kind of flooring Schilling offered had a color selection that covered almost every range, which meant I was able to go and shop different brands at different price points to fit my budget. The sales team was very knowledgeable and gave me a lot of information on why the prices varied and what would and would not work for certain projects I had in mind. They quickly let me know I was not able to put hardwood flooring on my concrete slab home. I was quite impressed by how trained they were. 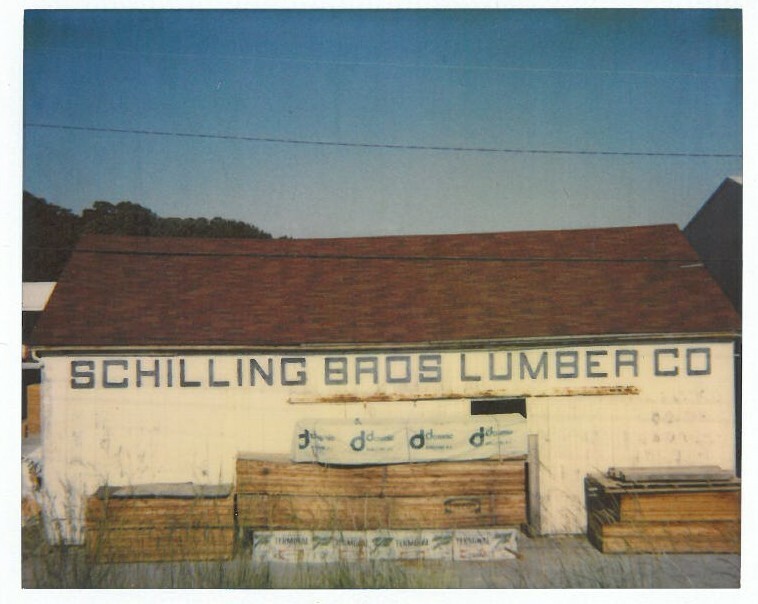 Schilling has always been known for their lumber. 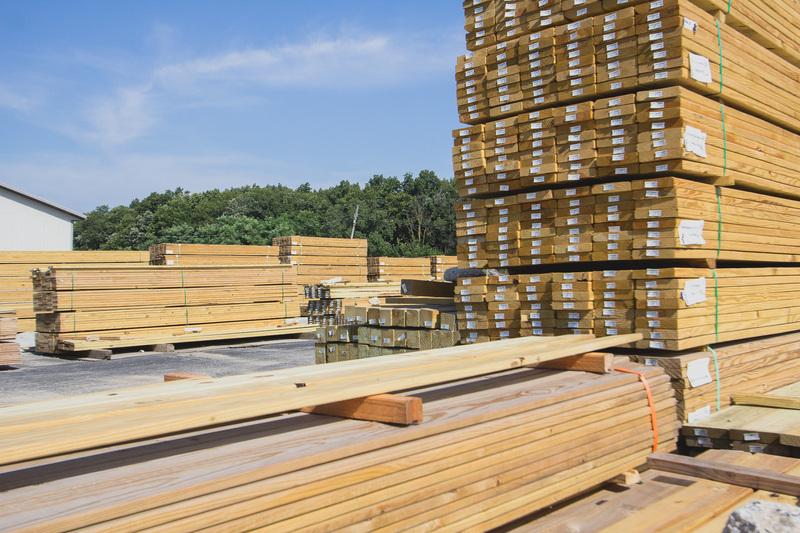 The yard, in both St. John and Mokena, has huge stacks of lumber and decking that they stock. Seeing the stacks of lumber was quite cool and eye opening as to how large Schilling truly is as a company. The yard was a constant buzz of employees running around building orders and organizing product. 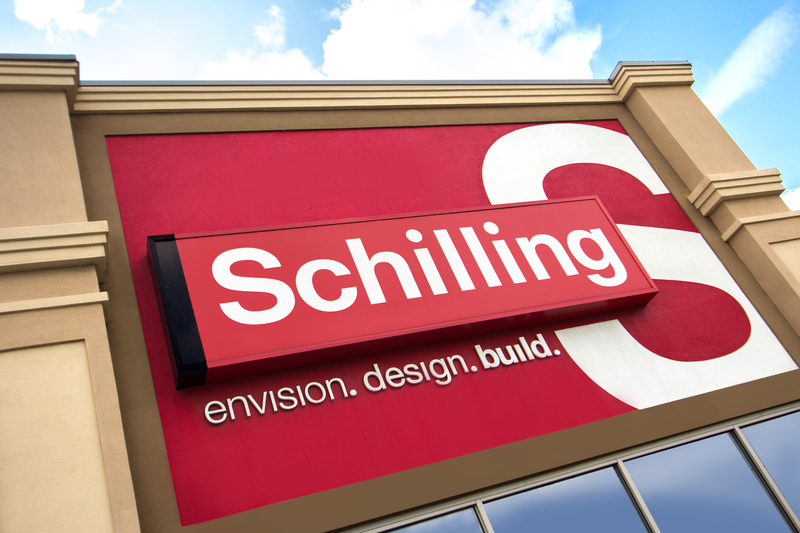 Decking has been a strong focus for Schilling. 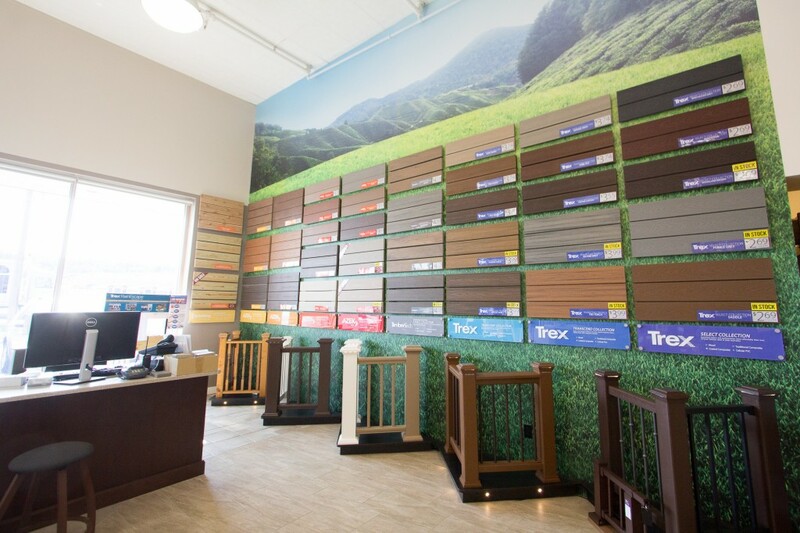 They offer 11 in stock colors from some of the top brands including Trex, Azek, and Timbertech. They also have more additional colors which can be ordered. You can also purchase matching nails, deck lighting, and also rail to expand the look of a deck. The “deck design center” is a great place to come to get information and view the colors that they have which are on display. 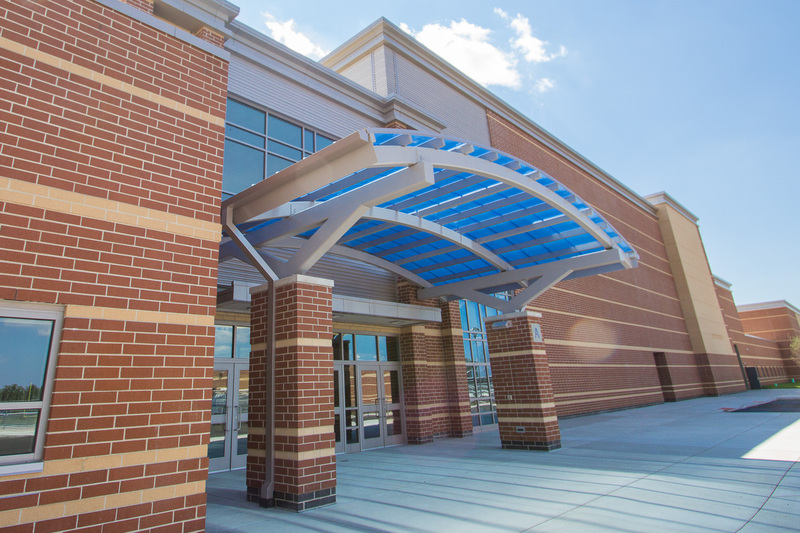 Along with offering the products to general consumers, Schilling has a strong focus on helping contractors. 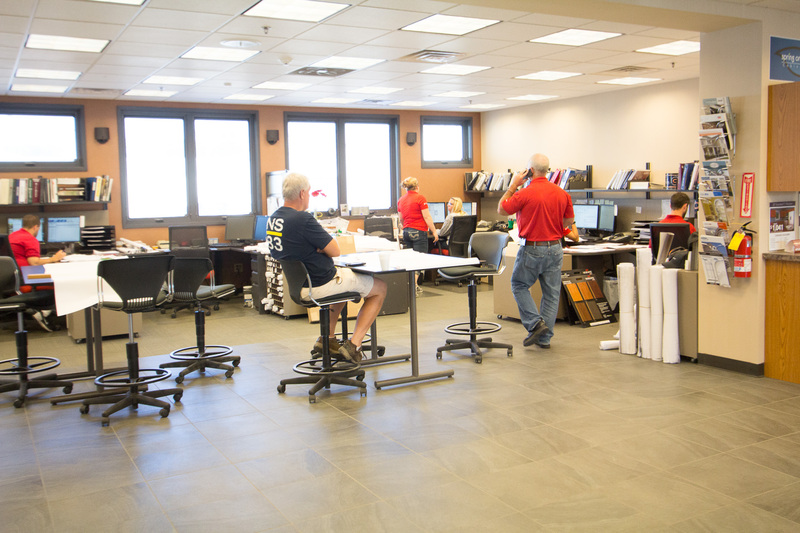 They have an entire area of their Mokena and St. John showrooms dedicated to servicing contractors and helping them build orders. This is great because it allows them to be able to come in and out of the store without having to waste very much time searching around or just waiting for help. Saving a contractor time also saves their customer time. 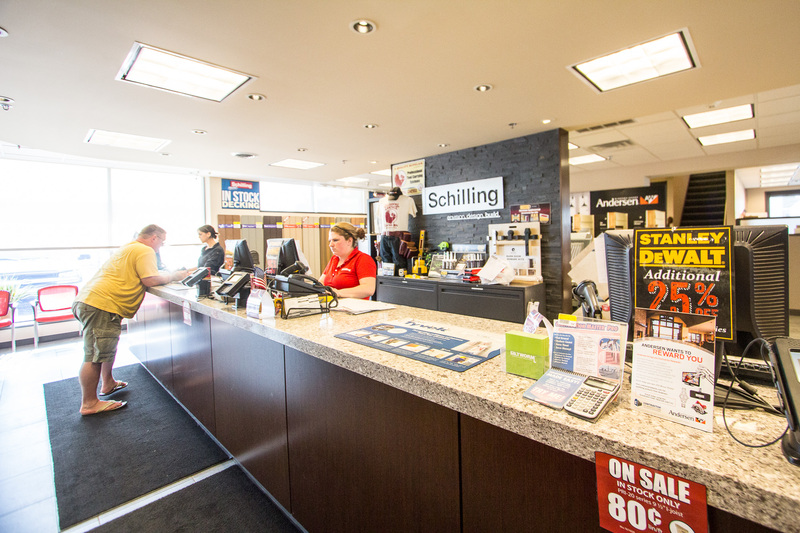 If you are planning on building a house, starting a new home remodel project, or just looking for small things to improve in your home, Schilling has proven they are the place to visit in Northwest Indiana and Chicagoland. With 70 years of experience serving the region, they have proven they know what the customer wants and will make sure they get it. Congratulations on 70 years Schilling!